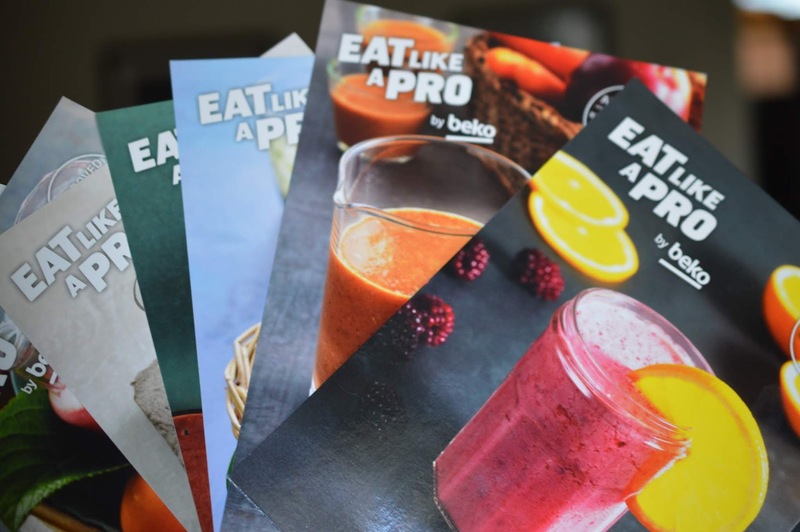 We're proud to be working with Beko as part of their #EatLikeAPro campaign this year. 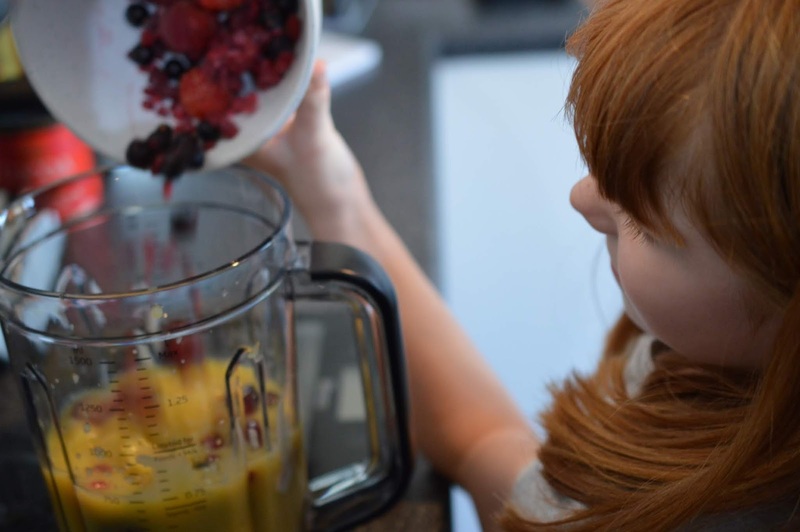 Beko has teamed up with nutritionists from FC Barcelona to create healthy recipes for kids and the whole family to enjoy. 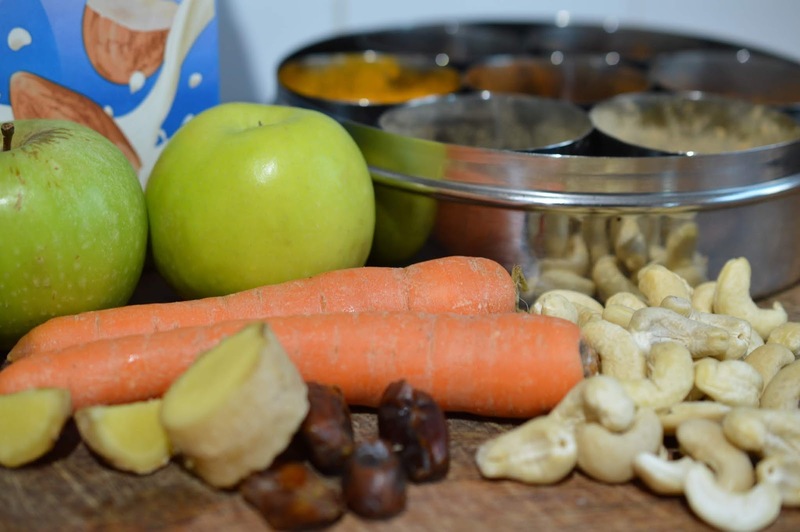 The aim is to make healthy food fun and get us all eating more fruit and veg. You may remember at the beginning of the summer, we had fun creating these plate faces - this is something we've continued and is now a treat that the kids look forward to. 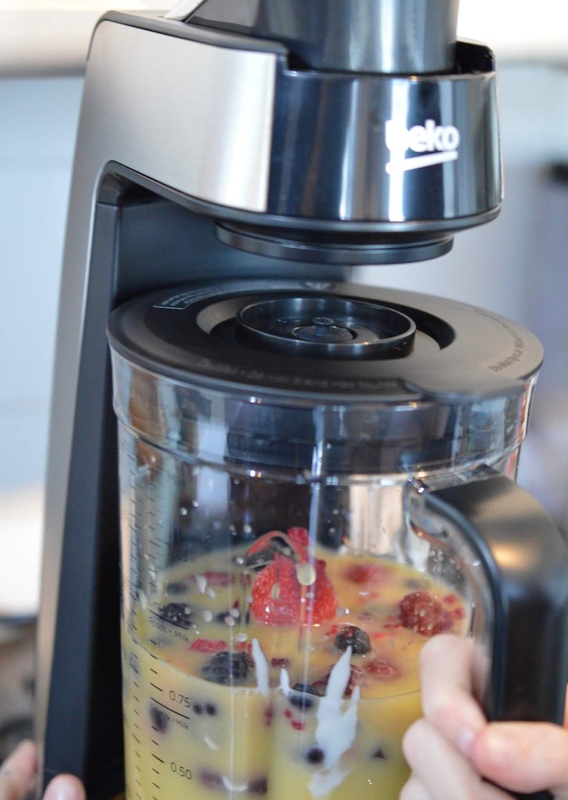 This week though, we've turned our hand to making smoothies with the help of the Beko Vacuum Blender. 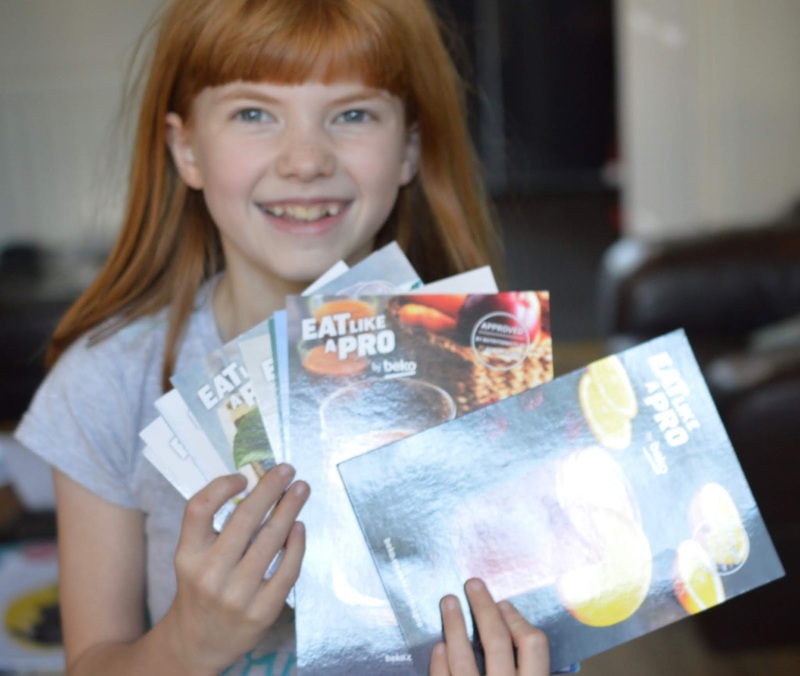 I'm a huge believer in getting the kids involved with cooking and food prep from a young age. 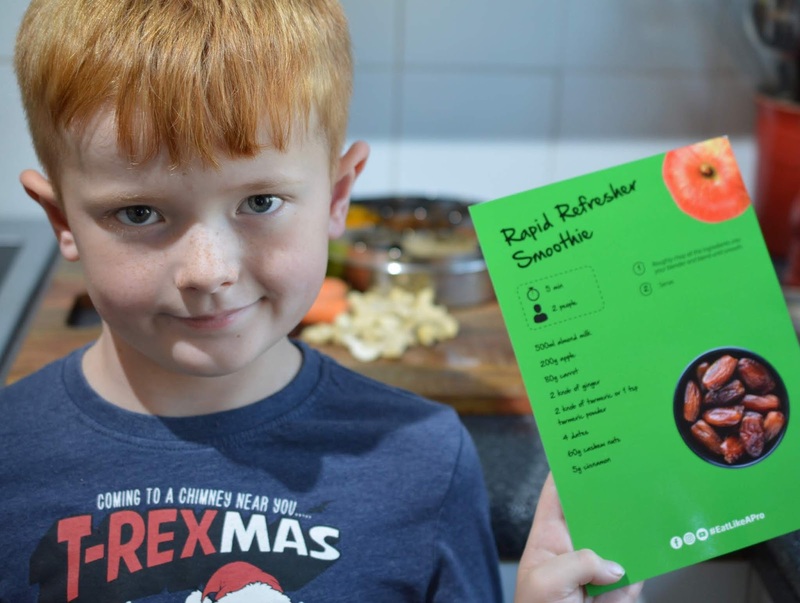 Not only does it set them up with important life skills but it also gets them involved in learning about where food comes from and I really believe it encourages them to try a wider range of foods. 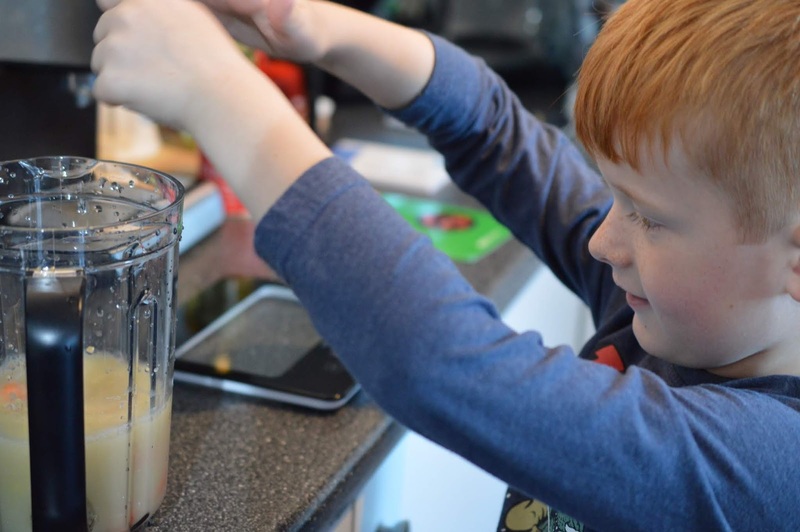 If I'd sat the second smoothie in this post in front of Jack without him being part of the prep, there is no way he'd have tried it BUT because he was involved in making it, he happily gave it a go and actually enjoyed it. 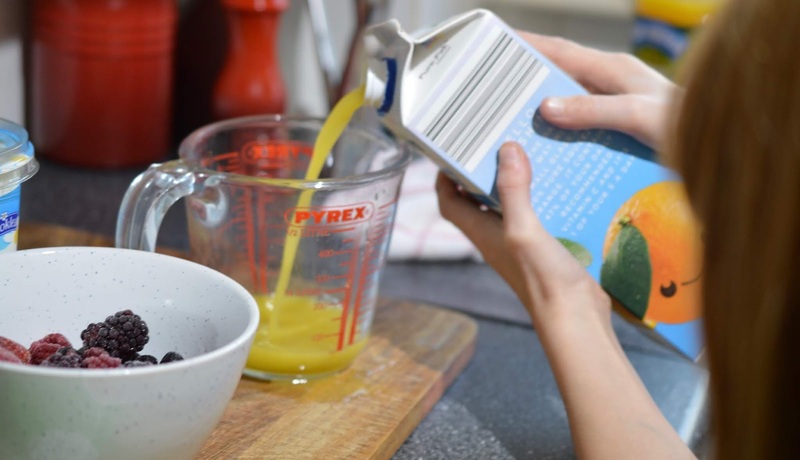 Measuring ingredients is also a practical application of maths and links to the national curriculum too - every day's a school day! 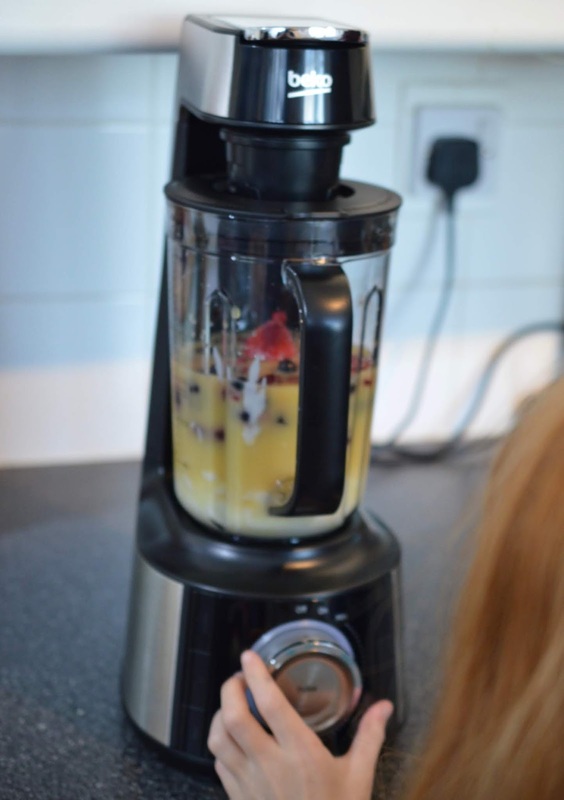 Beko kindly sent us a vacuum blender and some of their #EatLikeAPro recipes to try and share with you all. Often, smoothies can be high in sugar but these recipes have been balanced and approved by top nutritionists. 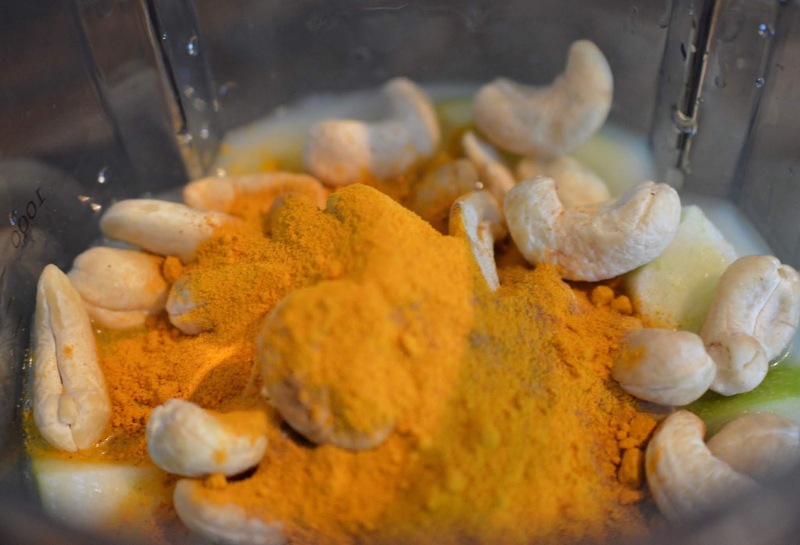 1 - Pour everything into your blender and blend until smooth. 2 - Pour into serving glasses and serve immediately. 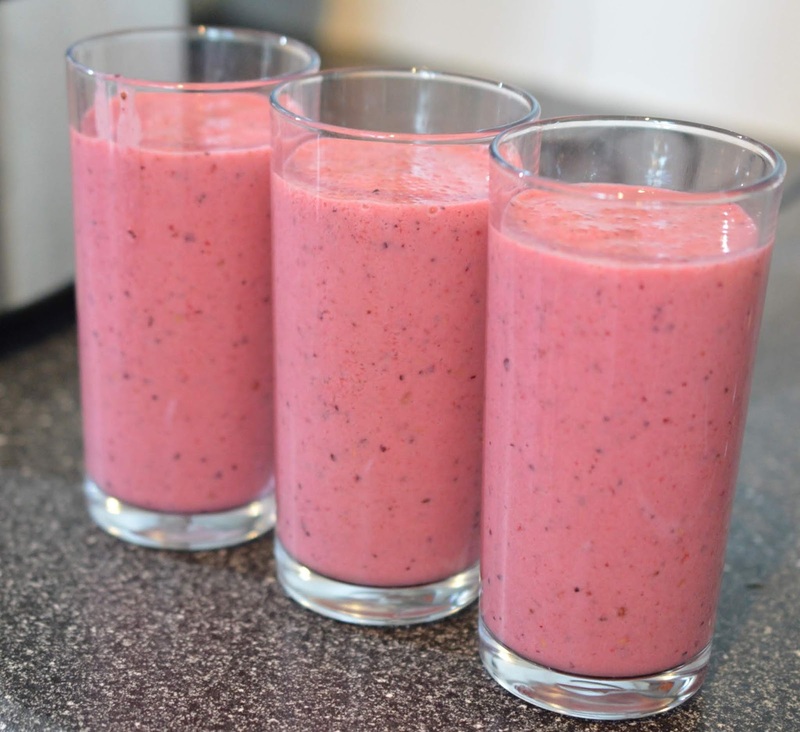 This smoothie was super easy to make. 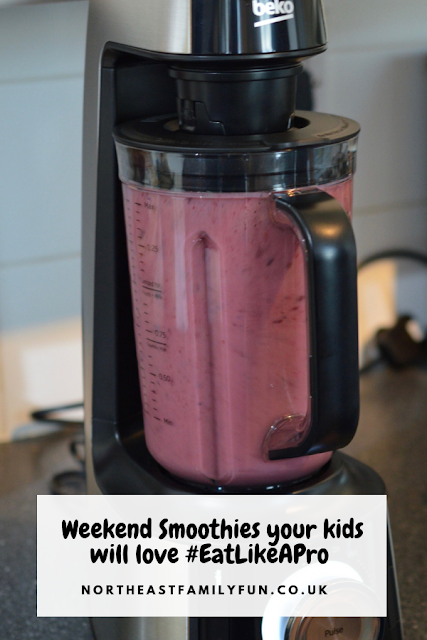 We always have a bag of frozen berries in the freezer plus natural yoghurt and orange juice in the fridge so it's a recipe we can make at pretty much any time. 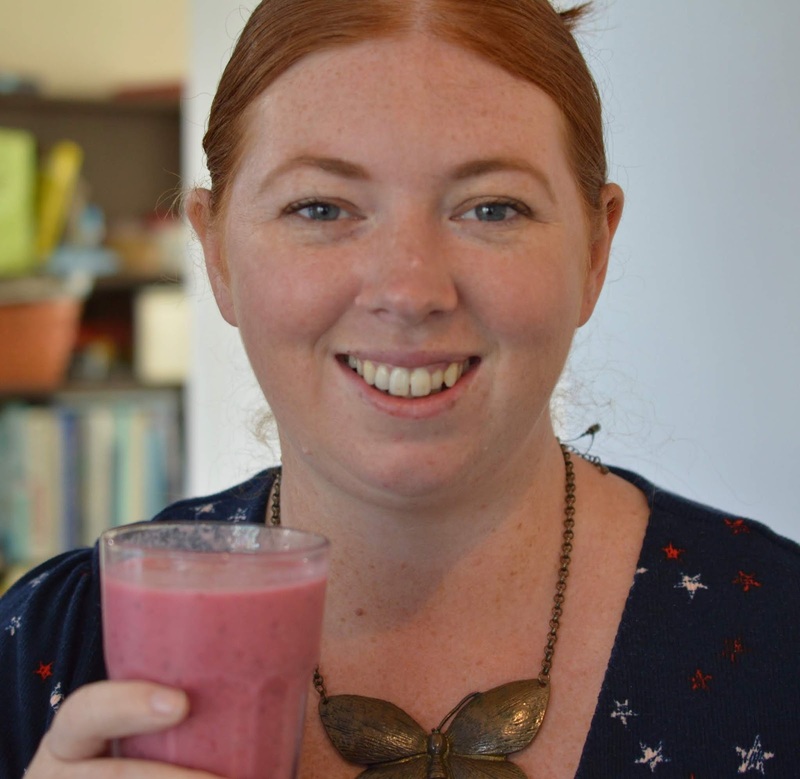 This smoothie was a real hit with everyone and we enjoyed it with our breakfast croissants on Sunday morning. 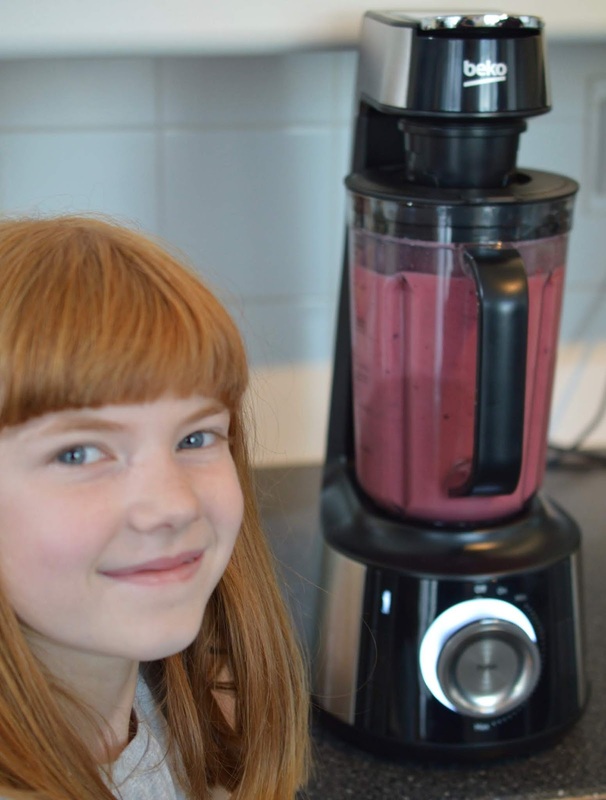 Obviously, supervise your children when making smoothies as the smoothie maker does feature a sharp blade at the bottom. We have quite a lot of top of the range kitchen equipment at home and it's one area of our life where we certainly don't scrimp. 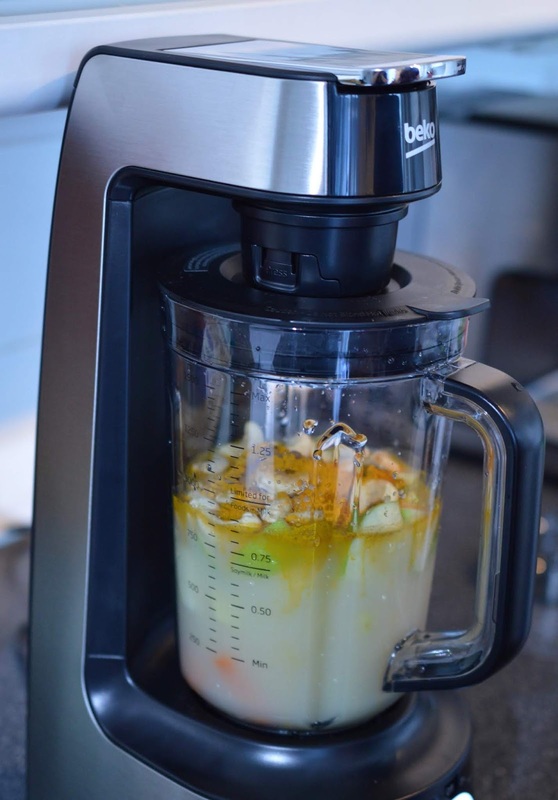 Steve uses a food processor pretty much every day and I was interested to see how the Beko Vacuum Blender would compare. I have to say, we were super impressed. It's very easy to use (just turn the dial to 'on' and then select a function). 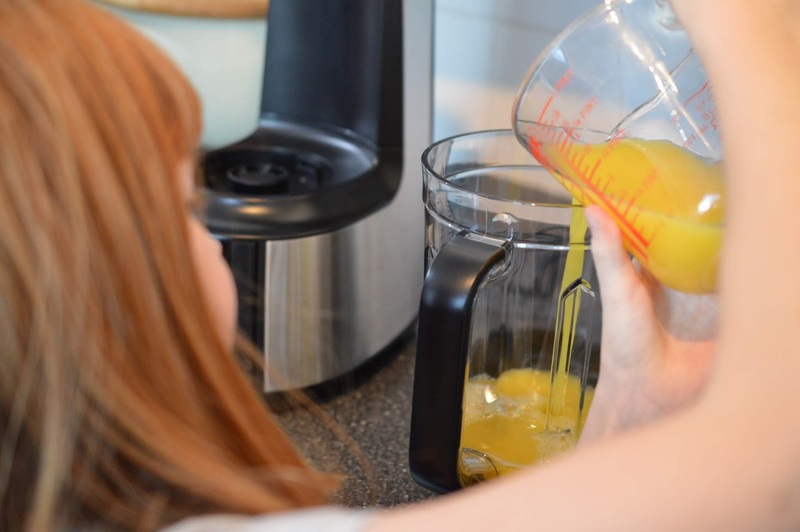 The vacuum blender removes air from the jar before blending which helps to retain nutrients and it also means you can prepare your smoothie in the evening, and still enjoy the following morning. 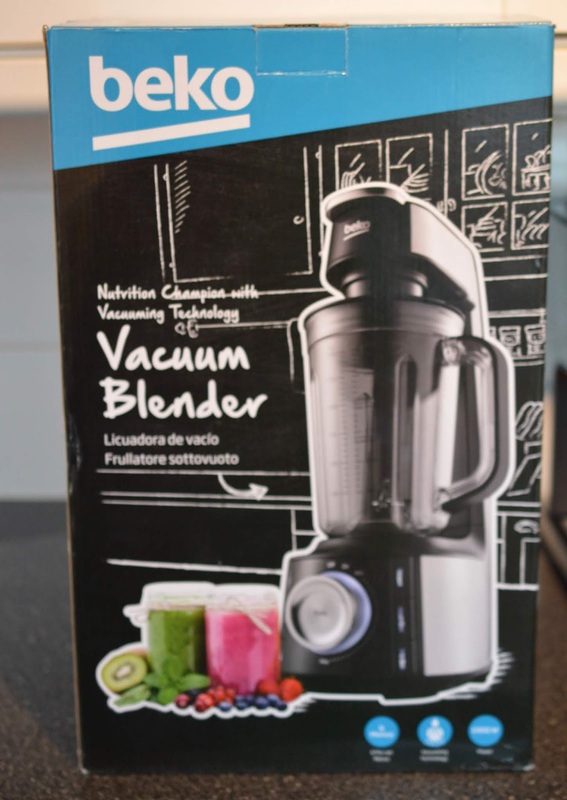 Vacuum blending helps to retain nutrients, freshness and colour but there is also a 'normal' blending function and smoothie option if preferred. 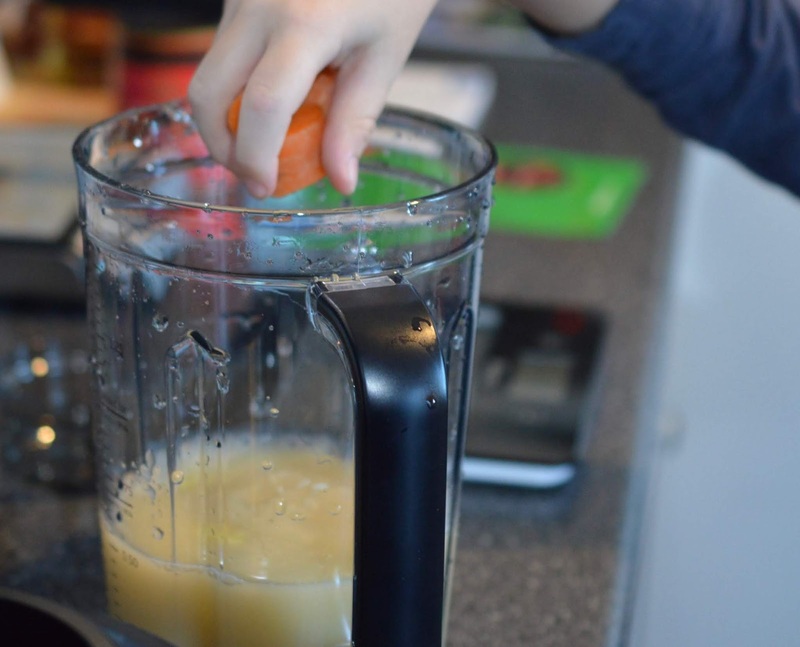 The blender can make sauces and crush ice too. I LOVE that this blender also comes with an auto-clean function. 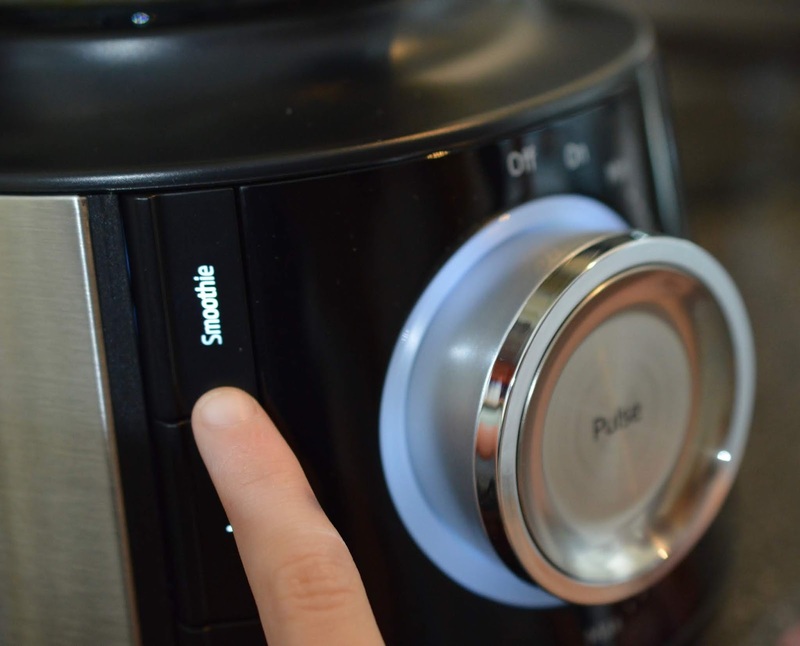 Simply fill up with water, select the auto-clean setting and then remove the water once finished and you're good to go. This is perfect to use between smoothies but I'd still recommend properly washing at the end of use (which is also nice and easy to do). 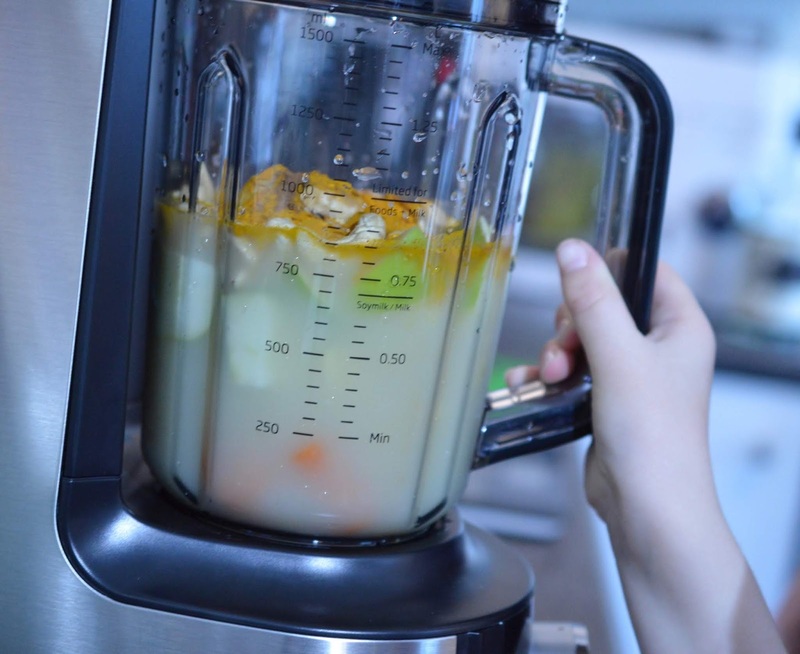 1 - Roughly chop all the ingredients into your blender and blend until smooth. 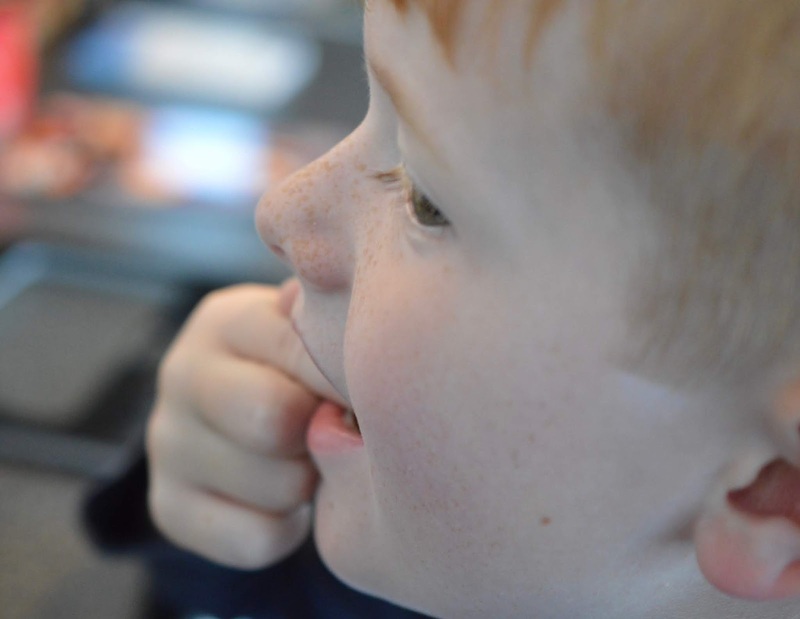 Jack is our most adventurous child when it comes to trying new things but I know there's no way he'd normally eat dates, almond milk or cashew nuts. 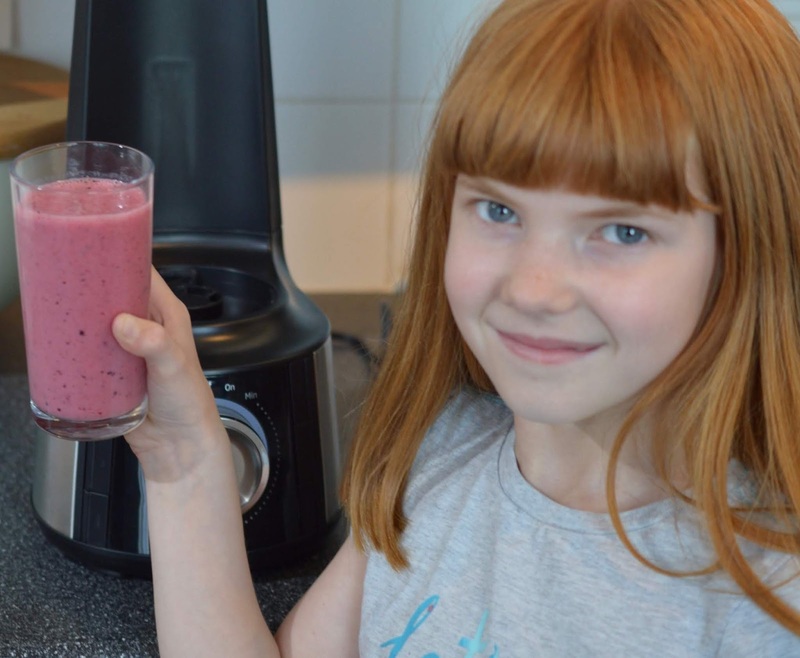 Smoothies are a fab way to encourage children (and us grown-ups) to eat a wider variety of ingredients. Almond milk is low in calories and fat yet still provided a rich and creamy base for this smoothie. 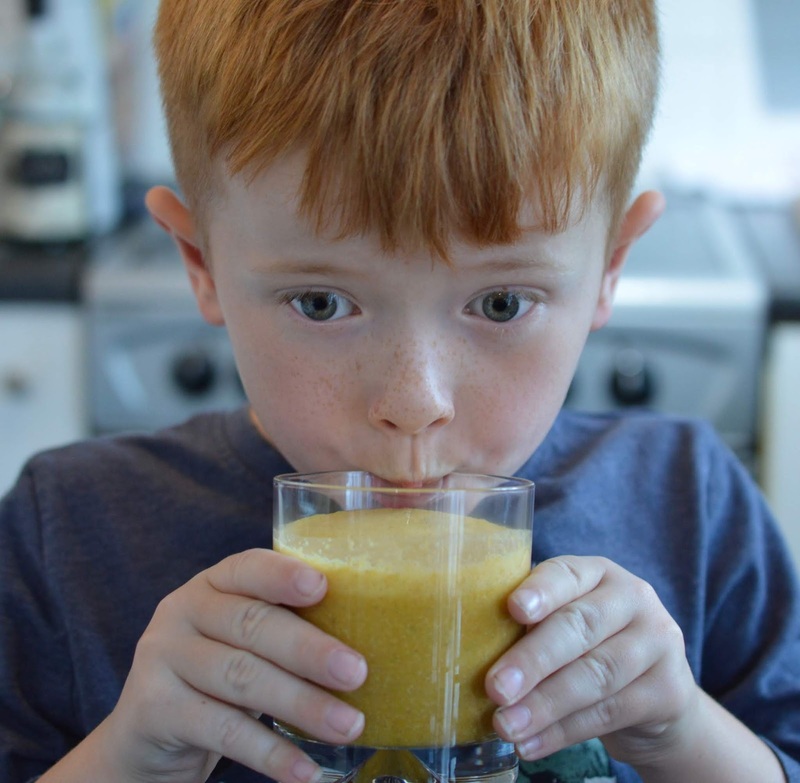 Jack really wasn't too sure about this at first so dipped his finger in to try - he really liked it and then happily went on to drink the whole smoothie. 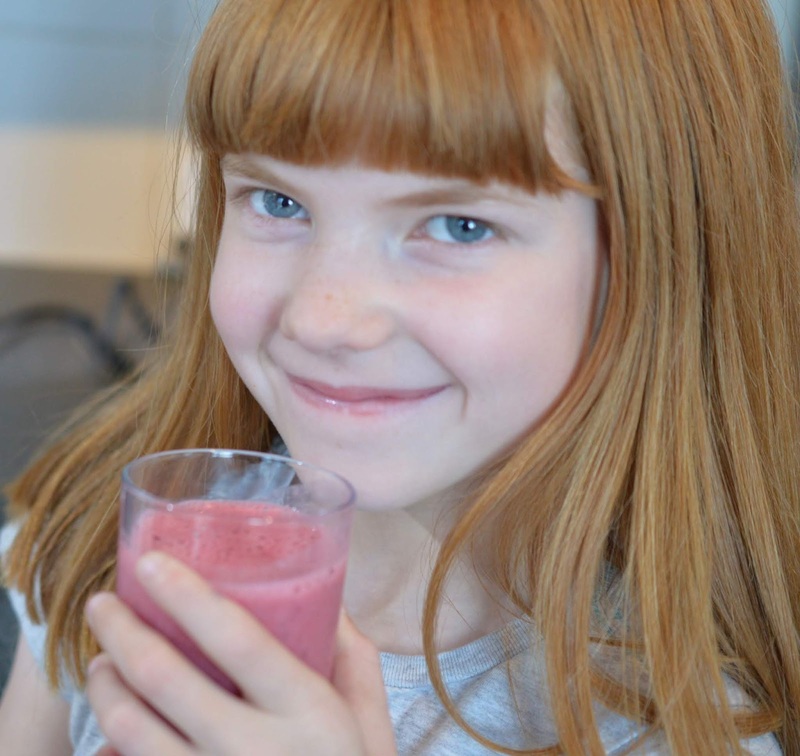 It's nice and refreshing and we enjoyed this smoothie as an afternoon pick me up. 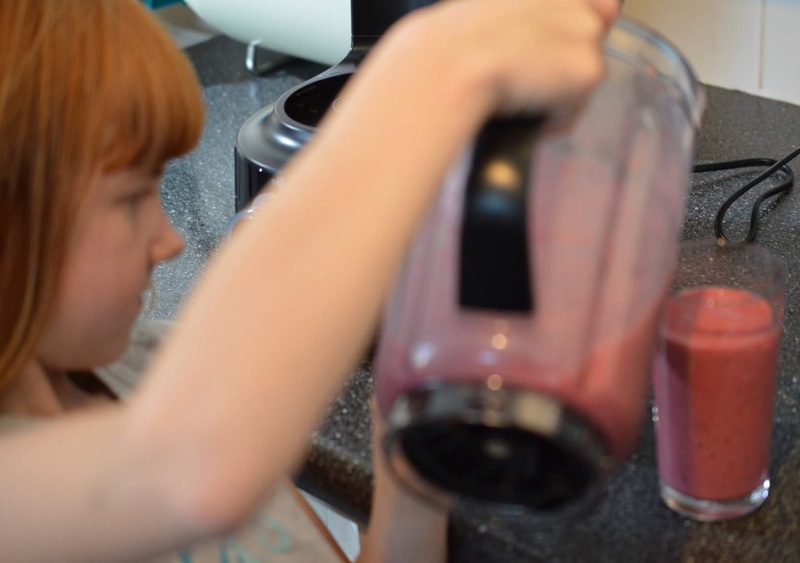 Our smoothies were quick and easy to use with minimal mess and were a fab way to get the kids involved in their nutrition. 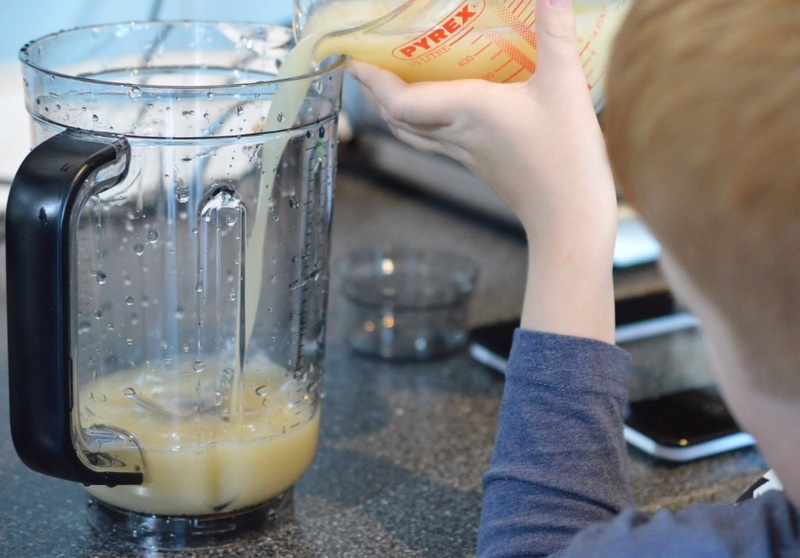 The Beko Vacuum Blender is one of the simplest pieces of kitchen tech we've used - it literally was child's play yet it was powerful (1000 watts - blending nuts was not a problem) and really did the job well with no complaints. 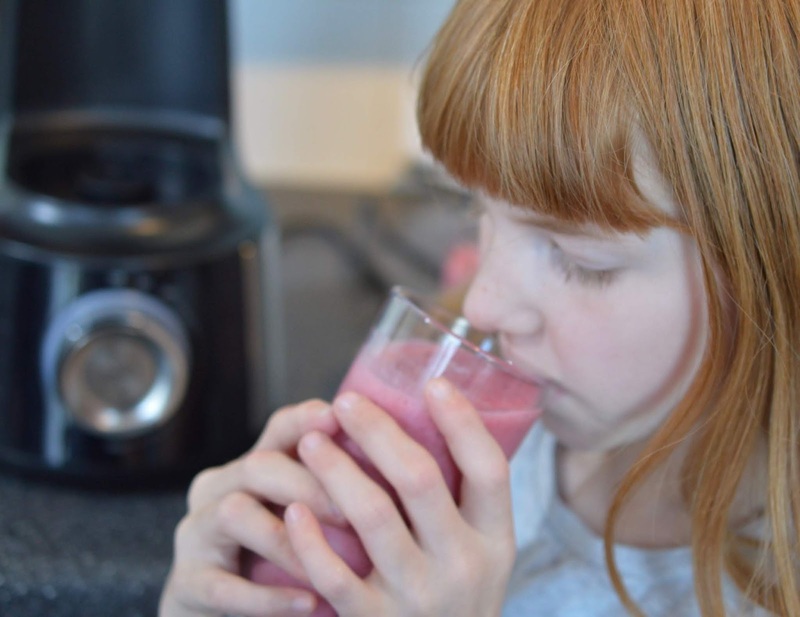 As a parent, I love that the vacuum technology used retains nutrients yet still provides a smooth and drinkable finish. The jug provided is 1.5 litres which is more than enough space for a family fo 4. 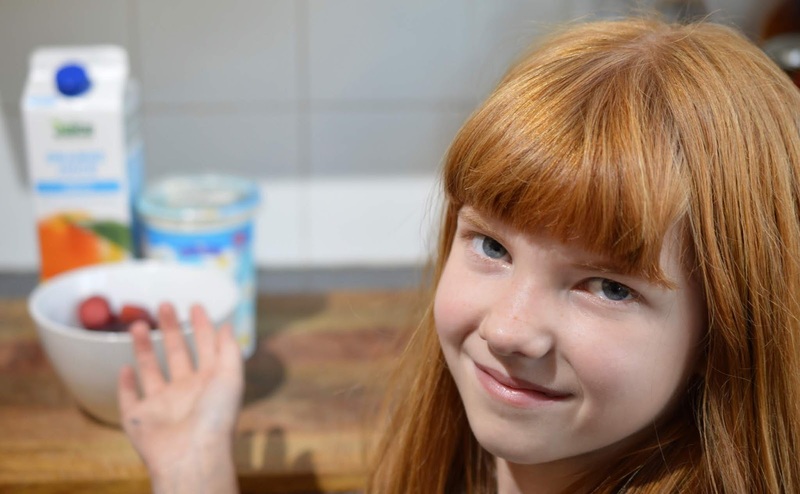 Our groceries are delivered on a Monday and by the time Friday comes around, we often have left over fruit and veg in the fridge that needs to be used up. 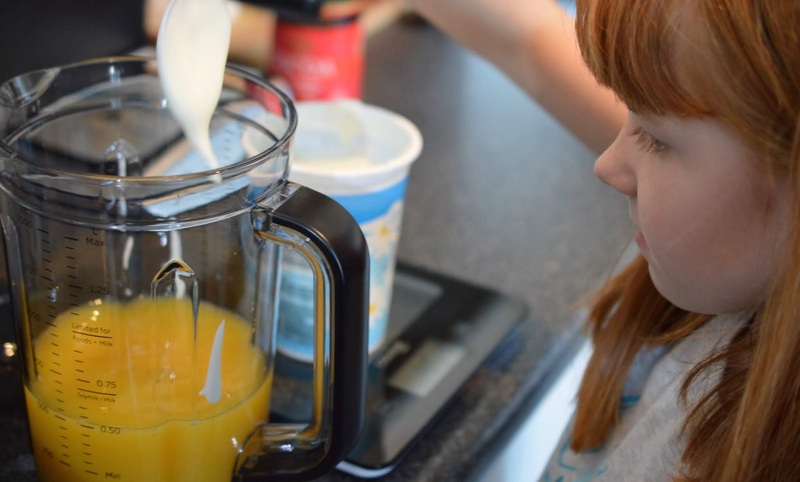 I think we're going to have fun making our own recipes with whatever we have left over and smoothie-making with our Beko Vacuum Blender is something the kids have really been interested in getting involved with.